A common misconception about IR security cameras is that they somehow send out infrared scanning waves. Thermographic cameras work on essentially the same principle as traditional photographic cameras. This means that IR security cameras are every bit as flexible as regular CCTV surveillance cameras. Generally, they’re used to extend the range of surveillance equipment in low light areas. There are countless models available, and each of these is best suited for use in a particular type of installation. That being said, they still use a type of photography, so IR security cameras are just as safe to use as any other type of surveillance camera. Now, there are a few exceptions to those rules. There are numerous types of devices that can paint a target with infrared light to take a better thermographic photo of it. These illuminators can usually be mounted outside of a camera assembly. Some cameras also come preinstalled with LED illuminator diodes on the outside of the lens assembly. Since most infrared energy is invisible, there is usually no indication that these units are working. This makes them perfect for stealthy applications. Some units might provide a small bit of red shifted visible light when one stares directly at them. While infrared energy is usually considered safe, people should not make a habit of staring into illuminator units. For that matter, they shouldn’t be staring into light bulbs either. An exception to a practical rule involves dedicated night vision equipment. It is generally a bad idea to use cameras rated for night vision in well-lit areas or in outdoor areas under sunlight. Using these outside of their accepted safety parameters can cause damage to the cameras as well as viewing equipment. On the other hand, these are absolutely ideal for use in dark areas or for taking evening surveillance photographs and video. This might go without saying, since most people would not try to put a pair of night vision goggles on during the day. That being said, there has been plenty of models of IR security cameras on the market that can work equally well in both environments. There are types of IR security cameras that can function in the daylight hours and provide a regular color image. These dual type IR security cameras shouldn’t be confused with Day / Night camera installations, which are something a bit different. Instead, a dual mode camera switches to infrared mode when the ambient light falls below a certain point. If the camera in question has infrared LEDs installed on it, they would then switch on. Infrared images are monochrome. This is a fact of technology, but it shouldn’t be thought of as a flaw. In fact, images captured in this method can be extremely telling and useful if a break-in were to unfortunately occur. These LED units can extend the camera’s range by quite a bit. That is why IR security cameras are often discussed in terms of how far they can operate in total darkness. This is usually the result of how many LEDs were built into the camera, how powerful they are and if an external illuminator device is being used. There are models on the market that can take images over 125 feet from the installation, and even further away than that. People that need to protect a lonely parking lot or loading dock certainly need this sort of technology. 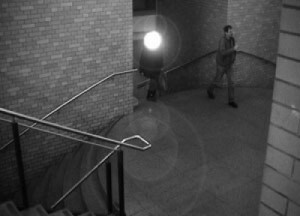 The level of light that a security camera needs to be able to effectively capture an image is referred to as the camera’s lux measurement. The lower this number, the better the camera can see in a low light environment. A camera with 0.2 lux is superior to a camera measured at 0.3 lux. A camera that has a 0.003 lux measurement is supreme. However, a camera running in infrared mode is said to have a lux measurement of 0.0. This literally means that cameras working correctly in this mode can take images in what the human eye would perceive as total darkness. One might actually see this lux measurement attached to regular cameras and spotlights. People that work in the surveillance industry are probably already familiar with it. However, for those that aren’t, one simply wants to keep in mind that IR security cameras have a lux measurement that is essentially at 0.0 and therefore they can see in absolute darkness. They continue the fight against crime even when other CCTV units have gone to sleep for the night. This is where the question of whether or not something comes out of IR security cameras comes up again. IR security cameras that can shoot video in total darkness work their magic with illuminator LEDs. Some models stock a large number of LEDs so that they can take pictures from even extreme distances. Once again, some of the best models on sale have a range exceeding 125 feet. However, it should still be stressed that this sort of energy is made up of completely safe electromagnetic waves. Infrared energy comes out of a regular light bulb, and it usually isn’t even coherent from any measurable distance. One might be wondering what the differences between IR security cameras and Day / Night camera installations are. These cameras technically don’t use infrared lighting, so to speak, but instead have special extremely sensitive imaging chips that allow them to take excellent low light level images. These cannot take images without some light, though they perfect for installations around streetlights or other such stands. Only cameras that use infrared lighting can take photographs or video in total darkness. On the other hand, infrared cameras also require more power to keep them on. Nevertheless, IR security cameras use mostly solid-state technology. LEDs aren’t exactly energy hogs, and they represent a very energy efficient lighting solution for these types of applications. Therefore, one shouldn’t be too afraid of the energy cost. In fact, some older traditional CCTV devices might be using more energy. IR security cameras do not require the use of exterior lighting anyways, so they’re more energy efficient in this respect as well. Installations in the great outdoors take a little bit of planning, but this is true for all CCTV cameras. In fact, IR security cameras might actually be a little bit easier to install in many cases. The bullet models that come with exterior housings that are already able to stand up to the elements are often quite useful. This class of devices represents a type of technology that is ready to go. They can easily be setup without too much additional planning. Other cameras on the outside might require an exterior housing. When setting up such devices, it might be good to keep in mind how harsh the climate is. Different IR security cameras have different operating temperature ratings. 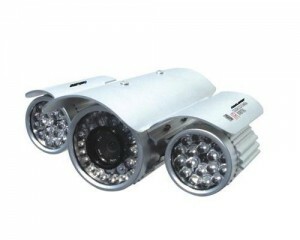 In very cold or very hot parts of the country, the weather can wreak havoc with CCTV device. Purchasing a good quality housing can defeat moisture and weather. Selecting one of the bullet IR security cameras that already have a housing preinstalled is another great way to beat the climate. If one has to actually install a housing themselves, one should be careful to do so correctly. Many IR security cameras need to be flush with their mountings so that the infrared illuminator LED units don’t experience a splatter effect against the glass. This can be best be understood by imagining a camera with a flash. If one were to take it against a glass window or a mirror, one might get a photo full of light and not much else. The good news is that IR security cameras are really durable, and fixing this sort of a problem takes nothing more than a couple of tools and a few moments of work. It really is that simple to get them to work. Outdoor exterior illuminator units are an extra set of infrared LED components that provide extra invisible light for IR security cameras. To get an even greater range of surveillance, one can easily install one of these sets. They are usually mounted near the actual camera unit, and require no other configuration at all besides their actual power supply. For the uninitiated, the idea of a lamp while taking regular photos or video might be an accessible analogy. If one were to take a camera and start shooting photos in a poorly lit room, there could be numerous shadows and dark spots. Proper illumination, even without a flash, can help to take better photographs. The IR illuminator assembly does the same thing, but without visible light. The odd irony is that the lamps used to illuminate the field of vision of a conventional camera will usually also produce some infrared light. There are several different terms used to discuss the method by which IR security cameras take images, and this can become rather confusing. Regular IR security cameras work either with ambient infrared light or the illumination devices that have already been discussed. These are certainly the most common surveillance units, and usually the most cost effective. They work great for most purposes, and when people in the surveillance industry say IR camera, this is generally what that mean. That doesn’t mean there aren’t other options for those that might want something else, however. There are a number of thermographic solutions that work via essentially photographing surface temperatures. These cameras are well known even among the general population for their use in movies as well as in the medical field. Cameras that take photographs based on this might be the best for certain installations, though the type of images that they capture is very different from the regular monochrome photos taken by standard IR security cameras. For that matter, many people outside of the scientific and industrial fields actually think of IR as thermal energy. This is not entirely true, since there are several bands of infrared energy, but heated objects at room temperature give it off. Infrared energy is also largely what causes sunlight to be pleasantly warm. Naturally, the human body is a very warm thing from the standpoint of such terminology. Therefore, human beings and animals show up very clearly on thermographic images. This is perfect for those situations where an individual might need to take certain types of industrial measurements, though a thermographic image isn’t usually a first line of defense when trying to work with surveillance for safekeeping purposes. That doesn’t mean that it doesn’t have plenty of uses in the field, however. On the other hand, so-called light amplification night vision cameras might be acceptable in some purposes. These are also well known among members of the general public, and they’ve often been used in movies and television shows. That doesn’t mean that they work miracles in the real world, but they certainly are another way that images can be captured in dark areas. Naturally, size is another concern to keep in mind when shopping for IR security cameras. Solid-state engineering keeps the size down in the same way that it keeps energy consumption down. That being said, there are extremely small models that may be installed in out of the way places. Wireless connectivity might be an option that some people with IP networks would want to take a look at. 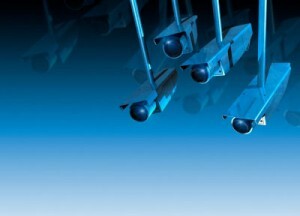 Internet connections with encryption are becoming a more common CCTV solution in the modern world. While IR security cameras aren’t the first things that most people think of when they think of wireless designs, that doesn’t mean that they are impossible to find. With an appropriate dealer, one should be able to find just about any type of tool they could need. There are so many possible uses of IR security cameras that one couldn’t list them all in one sitting. Numerous areas become dark at night, since this is a basic rule of nature. By using an invisible portion of the light spectrum, IR security cameras can see even when the human eye can’t. Such technology is a powerful tool in the war on criminal activity. Contact us today for your IR security camera needs.